COZY AND QUAINT 1-BEDROOM AND 1-BATHROOM RANCHER WITH 640 SQUARE FEET OF LIVING SPACE. THE BATHROOM FEATURES A TUB/SHOWER AND WAS RECENTLY UPGRADED (2015) WITH CERAMIC TILE, WHITE VANITY AND MODERN LIGHT FIXTURES. RECENT PROPERTY UPGRADES INCLUDE: NEW GAS PACK HVAC (2018); NEW PAINT THROUGHOUT INTERIOR (2019); LAMINATE WOOD FLOORING (2015); REMODELED KITCHEN AND APPLIANCES (2015); AND MODERN LIGHT FIXTURES (2015). THE SALE OF 413 PENNSYLVANIA AVENUE INCLUDES THE EMPTY LOT TO THE LEFT OF THE PROPERTY…411 PENNSYLVANIA AVENUE (.05 ACRES). Ready to visit 413 Pennsylvania? Request a free property tour! Send me more information about the listing at 413 Pennsylvania, Hampton, VA 23661, MLS# 10240190. 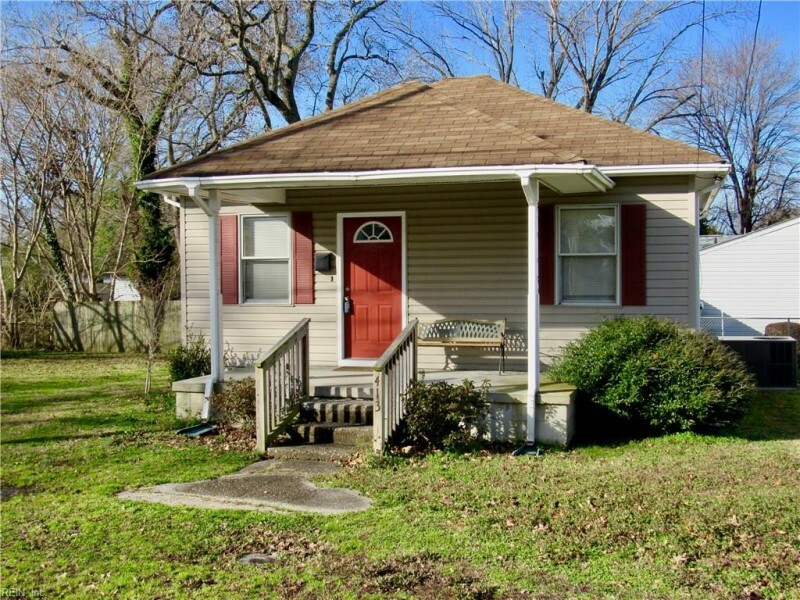 This 1 bedroom, 1 bathroom home located at 413 Pennsylvania, Hampton, VA 23661 has approximately 639 square feet. It is currently listed for $76,000 and has a price per sqft of $11,894. This home is currently Under Contract under the MLS#: 10240190. This listing is provided by RE/MAX Peninsula. 413 Pennsylvania Avenue, Hampton was built in 2001. It has Off Street, Street parking.The kitchen includes Dryer Hookup, Elec Range, Refrigerator, Washer Hookup. 413 Pennsylvania is part of the Hampton Roads neighborhood located in 23661.